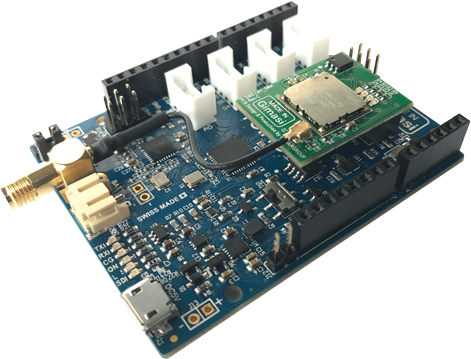 Tuino 1 is the IoT reference developer platform for both makers and R&D departments. It opens a development path from simple proof of concept to high volume production. 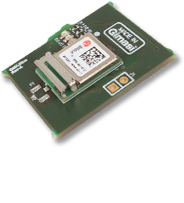 Tuino 1 was born to evaluate the LoRa and LoRaWAN disruptive potentials, but it’s not limited to LoRa, through its GMX interchangebale RF modules you can explore other IoT technologies. 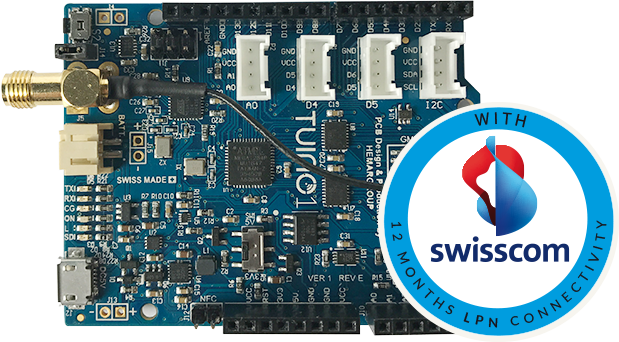 Tuino 1 is a professional and powerful Arduino UNO compatible boards, 128K of flash and 16k ram makes it one of the most powerful Arduino compatible board on the market. RTC, NFC and LiPO make if the most complete solution to evaluate your IoT design ideas. 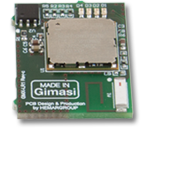 Power On/Off circuitiry and micro SD support make it ready not only for prototyping but also for production deployment. 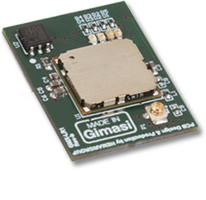 And once you have finalized your proof of concept you can evolve and move your code over to the GMX-LR1 Murata STM32L0 CPU and with the matching GMX Carrier board you can start developing on a high end LoRa module technology, as your project grows and really want to scale up just move the Murata module and your code directly into your hardware. 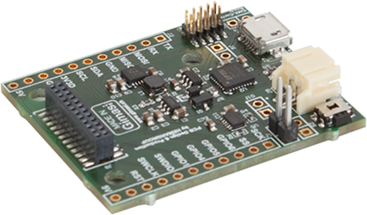 The Tuino 1 is part of an end to end experience based on the IoT Cloud Platform Giotty and the GMX expansion bus that will enable everybody from students to R&D engineers to easily develop and deploy fully scalable IoT solutions. 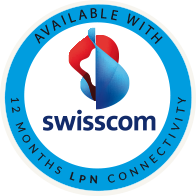 Available in different configurations, with or without RF modules, with a complete set of Grove sensors in its LPN Maker’s kit version, and for those want to deploy in Switzerland it’s also available with 12 Month Swisscom LPN Connectivity. 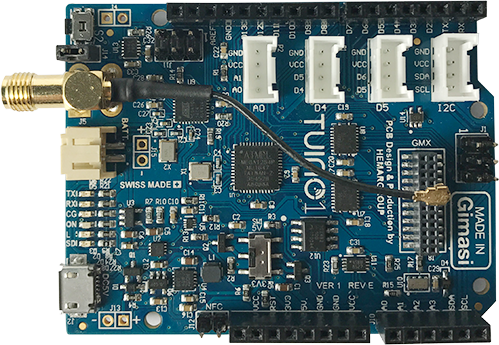 The Tuino 1 is also available in the Maker’s Kit Edition. The fastest way to make you immediately productive with your first IoT application. 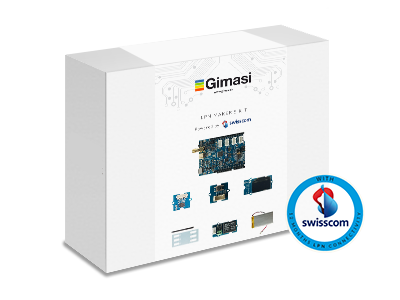 A kit that bundles a series of Grove Sensors and other accessories together with your Tuino 1.